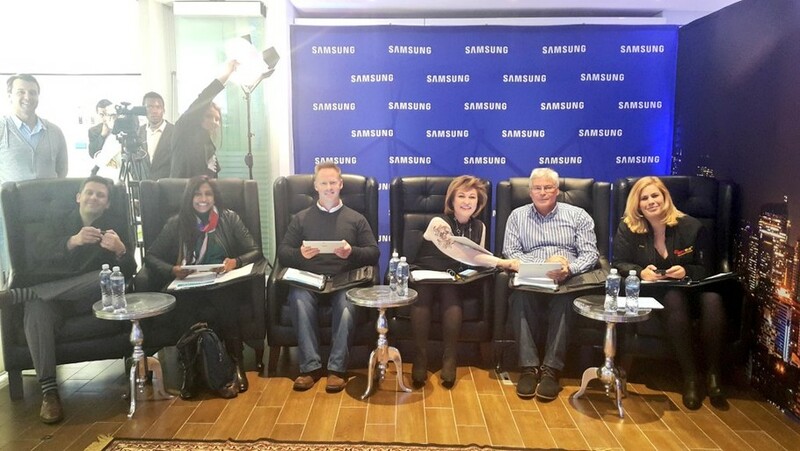 Samsung Electronics South Africa is proud to announce that three exceptional young entrepreneurs have triumphed in the company’s Launching People - Mixed Talents competition. Ten finalists undertook a ‘Dragon’s Den’ style grilling at the hands of six judges, to determine the winners, who received funding as well as other business support tools and services. After undergoing a series of pitching their various concepts to the judges - Michelle Potgieter, Director for Brand and Communications at Samsung South Africa; Lisa Illingworth, Entrepreneurial Host and Journalist at Hot 91.9 FM; Ian Wright, Founder of METIME; GG van Rooyen, Deputy Editor of Entrepreneur Magazine; Fahmeeda Cassim-Surtee, Director of DStv Sales and Marketing; as well as Garth Gaffley, Owner of Garth Gaffley Consulting and Mixed Talents – three winners were ultimately chosen. Kyle Dodds’ Cognition Online, which has developed an application designed for the tutoring industry and enables tutors, parents and students connect was the first winner announced. They were followed by Neo Hutiri’s Technovera Lockers, a smart locker designed to enable chronic patients to obtain their medicines securely, without having to wait in queues. The final winner was a mobile child safety seat designed by Trenton Carr. According to Potgieter, the Mixed Talents initiative was born of a desire to have a positive impact on the high youth unemployment rate in the country. “The Mixed Talents competition and Ideas Bank tool were designed to provide entrepreneurial youngsters with a forum to adequately express their ideas. Part of the global Samsung Launching People initiative, Mixed Talents offers local South African millennials a platform through which they can turn their entrepreneurial ideas into a reality. The ultimate goal is to make a real impact in youth unemployment in South Africa,” she says. The three winners will each receive R50 000 in start-up capital, as well as access to over R 300 000 worth of invaluable business support tools from Samsung’s partners. This includes serviced office space for each organisation through Work Central and world-class coaching through Winning Edge. According to Potgieter, the biggest take away from tonight for other young thought leaders is that if you have a vision, follow it through with passion and make it come true. To South African millennials, she adds that they have to follow their dreams and the Ideas Bank is still available to them as a tool to do so. “This is a means to help you launch your business and make your particular dream come true,” concludes Potgieter.